Natalie Giles Churchman is a native of Erie, Pennsylvania. She earned her Bachelor of Music Education degree from Houghton College and her Masters of Science degree from Alfred University. 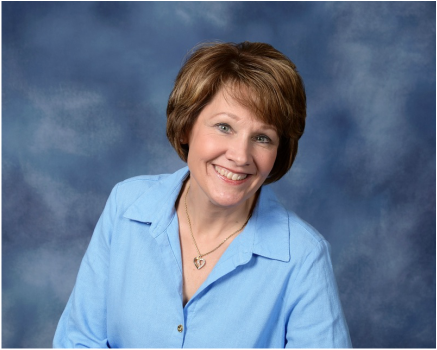 Upon graduation from Houghton, she taught at Angelica Central School, and in 1992, accepted her current position as vocal and general music teacher at Arkport Central School. Some years ago she felt called to pursue the ministry and began working toward becoming a licensed minister. God’s timing was perfect and she was able to be the assistant pastor at New Hope since it began. As an Assistant Pastor at New Hope Wesleyan she enjoys heading up Sunday School, Children’s Church, praise and worship teams, Vacation Bible School and a children’s ensemble called Joy Notes. Natalie is blessed to be a wife, mom, daughter, sister, and grandmother and counts every moment she spends with her family very special. A note from her: I love serving and worshipping at New Hope. I am so grateful to God, my church family, and my family for allowing me to minister in this way.